With more than 28 years of business experience, combined with the partnership of Castle Real Estate, you can be confident that Susan will provide you with the knowledge and professionalism you deserve. Susan received a business degree from Cal Polly State University and understands how a fluctuating market relates to her clients. Buying or selling a home is one of the most significant, and stressful, financial decisions that people make. Taking the time to explain the process can greatly ease one's concerns. Susan is known for taking time to communicate on a personal level and fully understand and adddress the needs and concerns of her clients. 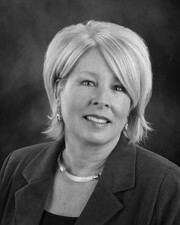 Susan is an active member of the community and she has lived and worked in the Modesto area for the past 23 years. Susan is dedicated to her clients satisfaction!